Spot wins the USLTC National Specialty under breeder judge Cpt. Jean L. Heath, USN (ret), Black Watch Lakelands. 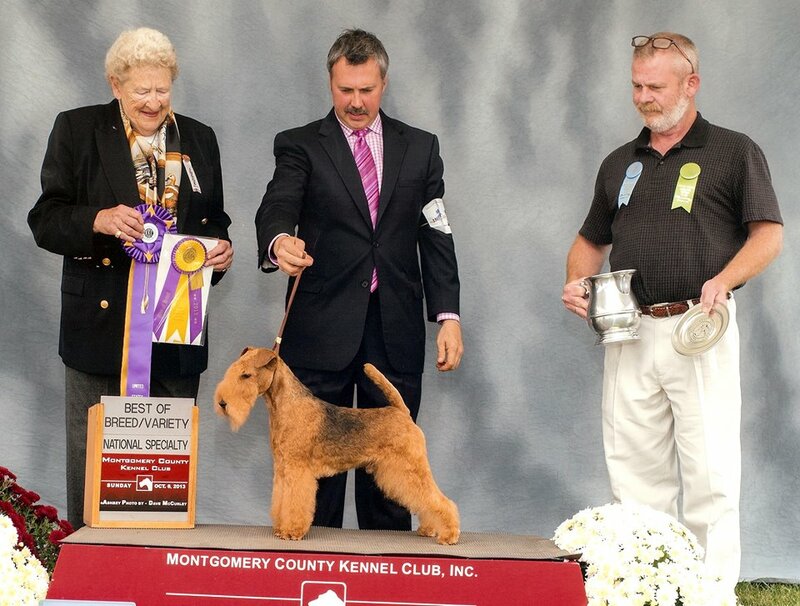 He then went on place fourth in the one of the toughest terrier groups in the world under judge Roberta Campbell. Spot is handled by RC Carusi.